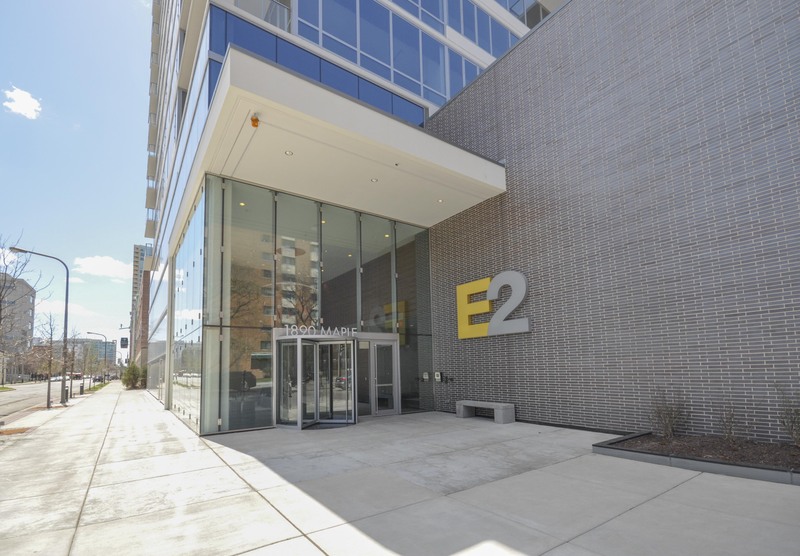 E2 is a high-density, mixed-use development at a prominent corner near the downtown shopping district of Evanston, Illinois. The site was chosen for its supreme walkability to desirable retail, entertainment, and community features of the area; access to transportation; and proximity to a nearby university. The development takes the place of a lower-density and under-utilized commercial office building and a vacant lot. Recognizing the opportunity for new residents and the high-quality product to come, the city government demonstrated strong support for the project throughout the development process. 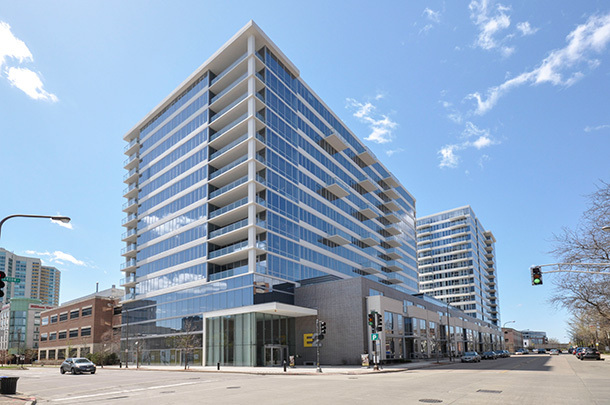 E2’s two modern towers stand 16 and 14 stories and are connected by a four-story structure with parking and rooftop amenities. 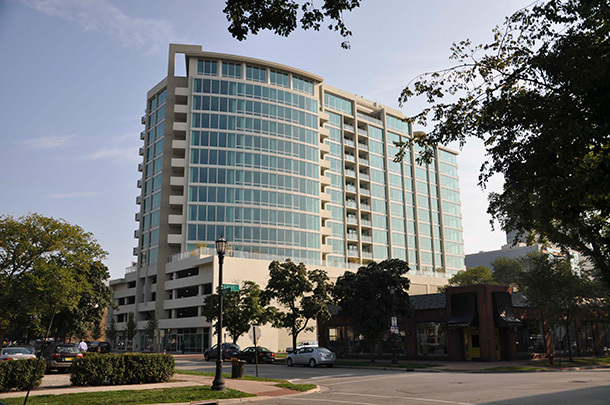 The two towers include a total of 356 luxury apartments in studio, one-, two-, and three-bedroom layouts, twelve three-bedroom townhomes along one elevation, and nearly 4,000 square feet of ground-floor retail space. The pet-friendly building, which achieved LEED Silver Certification, includes lush green space on an outdoor amenity deck. 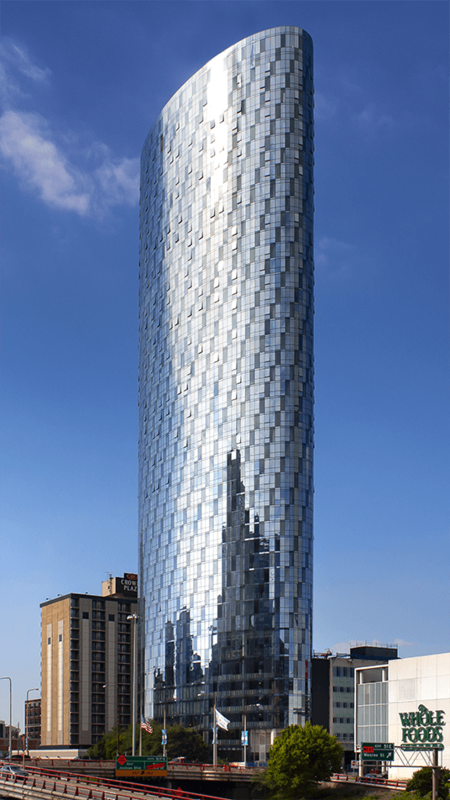 The building’s stunning lobby includes on-site concierge, management, and secure parcel drop-off. 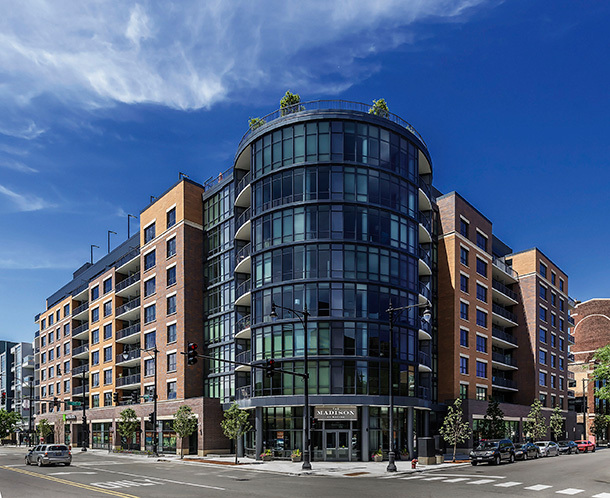 Residents have access to secure bicycle storage and an area for bike repairs, selected parking spaces include GE electric car charging stations, and the building’s location affords convenient access to bike lanes, city bus and rail lines, commuter rail, and suburban bus lines. 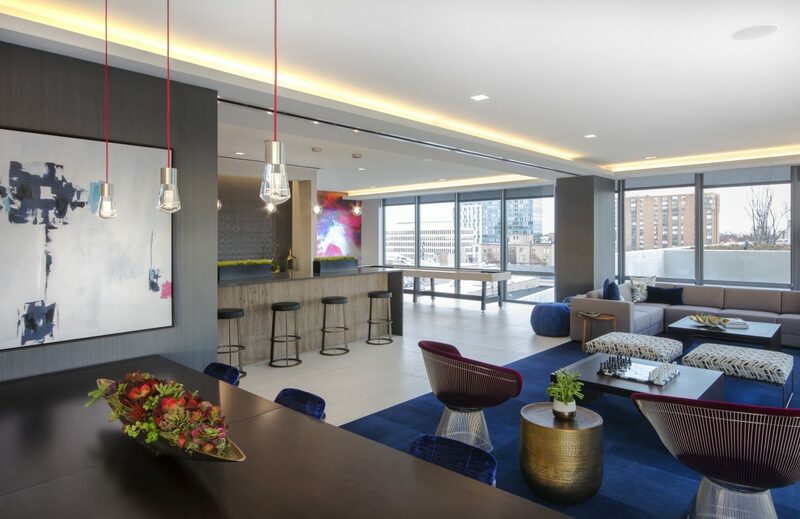 Units include finishes that appeal to the savviest consumers, with stainless steel appliances, quartz countertops, and high-end lighting and plumbing fixtures. Bluetooth audio systems and electronic access control can be found in each unit. Building amenities include a full-sized basketball court, fitness center, theater and lounge, business center, coffee bar, and outdoor pool and grill area. The development team saw the opportunity to supplement the district’s supply of high-quality rental housing, and set about creating the most comfortable, accessible, and convenient community that they could. The surrounding residential offerings serve a variety of people from university students and faculty to lifelong residents, empty nesters, and young families.